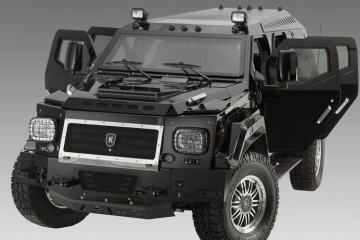 There’s no shortage of suitable trucks for roughing it up in off-road settings. 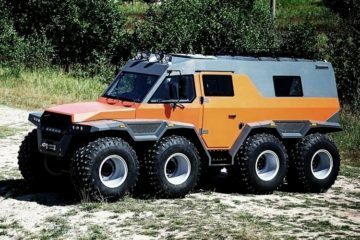 Yes, even if you’re going to a backcountry wedding. 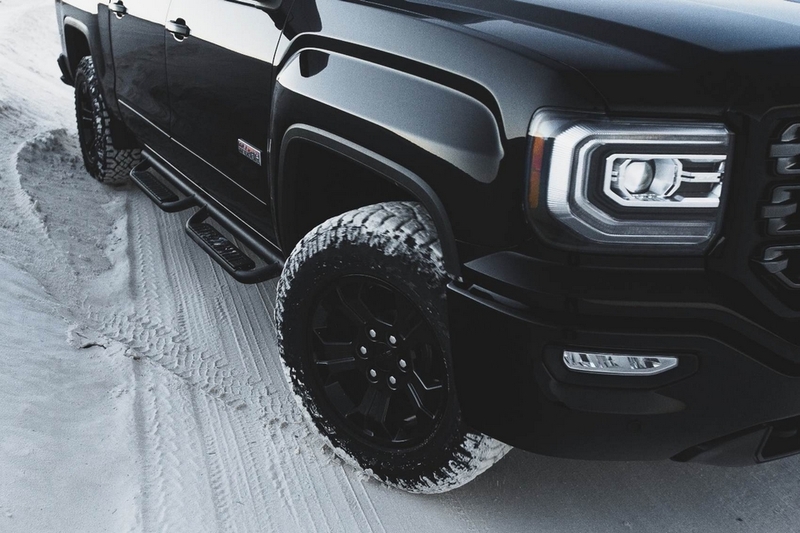 If you want your next pickup to look as brutal as it performs, the 2016 GMC Sierra All Terrain X should be worth a close look. 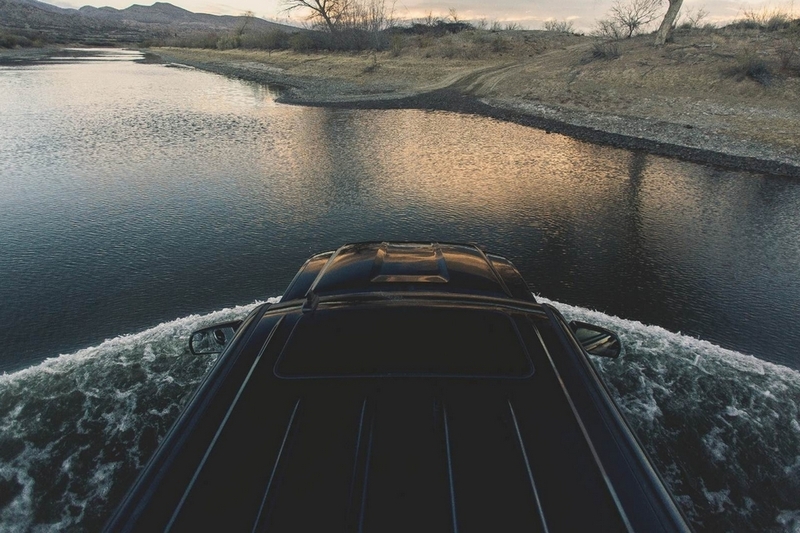 A special edition truck, it adds a number of enhancements to the original Sierra 1500 crew cab, short box model, beefing it up in both the aesthetic and performance departments. 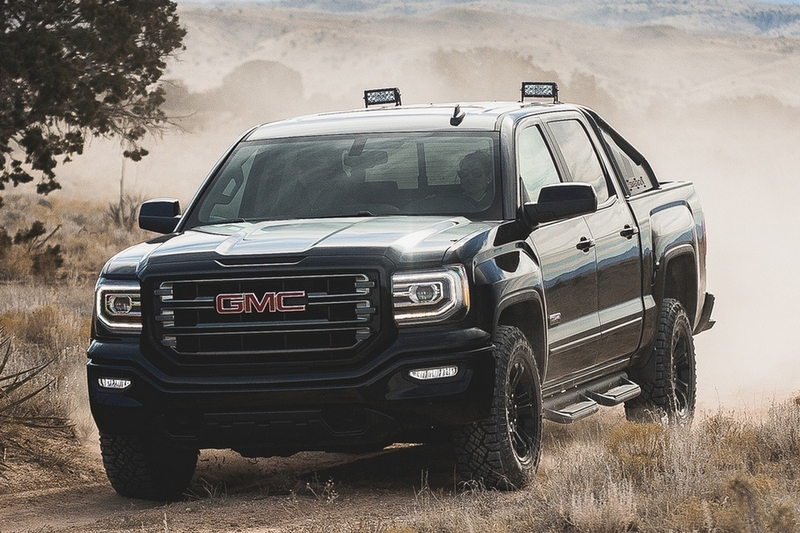 Simply put, it’s one beast of a truck that’s ready to serve, whether you’re driving across rugged backwoods trails or busy city roads. 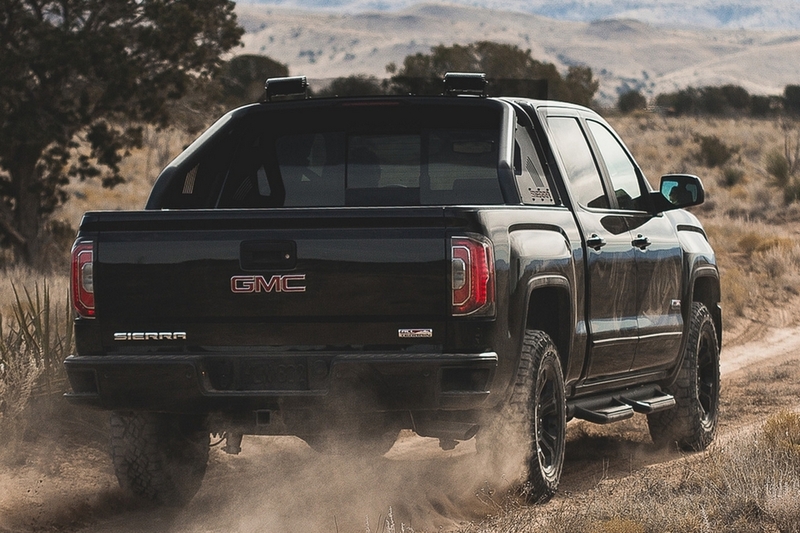 The 2016 GMC Sierra 1500 All Terrain X takes the original All Terrain upgrade, integrating the Eaton locking rear differential, Rancho monotube shocks, Hill Descent Control, inclinometer in the instrument cluster, underbody transfer case shield, custom grille with tinted chrome accents, and the rest of the features in the package. 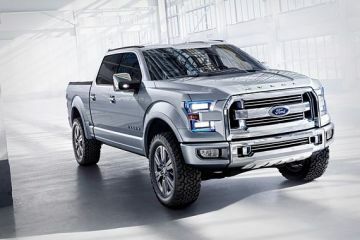 It builds on that, of course, throwing in a performance exhaust system that bumps the 5.4-liter V8 engine’s output from 355 to 365 horsepower, along with knobby Goodyear Wrangler DuraTrac MT tires for more easily driving through mud, gravel, and dirt. 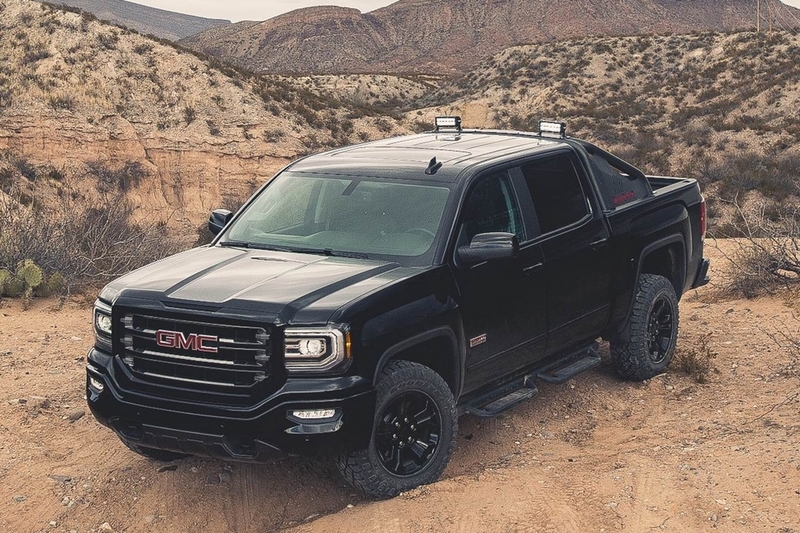 Other features include 18 x 8.5-inch black aluminum wheels, sport side steps, bed-mounted sport bar, GMC’s signature LED lighting, new handles and moldings, and body-coloring packages that cover every element of the truck in a uniform monochrome color. The infotainment system allows smartphone integration both through Apple CarPlay and Android Auto. 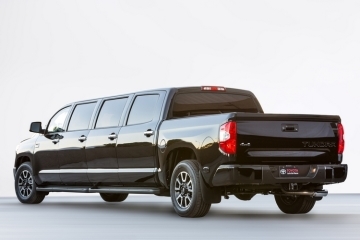 No pricing yet, but the 2016 GMC Sierra 1500 All Terrain X is slated for availability in the spring.